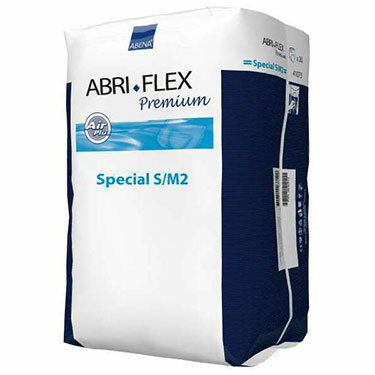 Abri-Flex Special is a breakthrough in pull-up technology. It is specifically designed to fit any body contour or to be used during intense physical activity. Several cutting edge innovations which ensure a snug fit. Furthermore, it absorbs more than twice as much liquid as U.S. manufactured pull-ups. Small/Medium fits waist sizes 23.5-43"
Medium/Large fits waist sizes 31.5-53"
Thought they would be more like a bloomer shorts from the image that is presented. Cons:Thought these would be great because they are a special type. They don’t hold much and are very uncomfortable. Love this product. So soft and flexible on your body. There's no restrictions. They hug you. Ordered the smaller size. Feels like thick underwear. Love these things. Can't tell I have one on. I'm a soaker and you can let it rip if you have to. I think this is the future. Love them. Nothing out there close to the feel. So soft. They hug you.The first reviewer must be peeing creptonite or something. Pros:So soft you forget you have them on. Like the package states. Special. Cons:On the pricy side. But If you are about to wet/flood your pants you will not regret these. Life is too short. Is not true to size. Doesn't absorb as well as other Abri-fles products I've used. All in all, very unsatisfactory. Pros:None that I can think of. Cons:Look at general comments. Sizing is way off what was advertized.